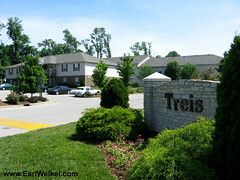 Treis Condominiums are off Murphy Lane near Westport Rd in Louisville KY 40245. These condos for sale are priced from $80,000 to $93,000. The condo sizes are from 900 to 1090 sqft.